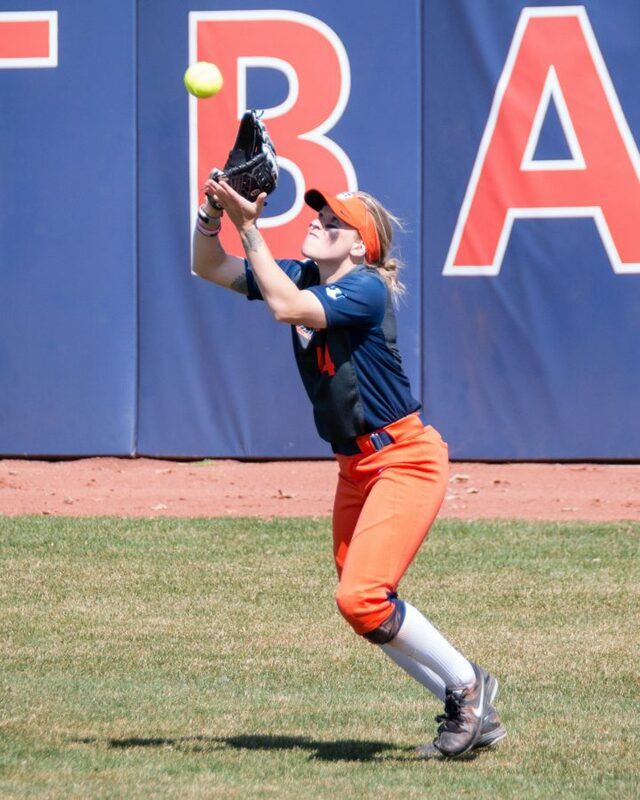 Illinois right fielder Maddi Doane catches a fly ball against Minnesota at Eichelberger Field on April 1. 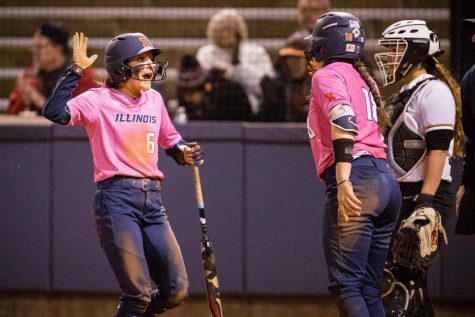 Illinois softball is looking to stay undefeated on the road in Big Ten play when it goes up against Nebraska on Saturday. 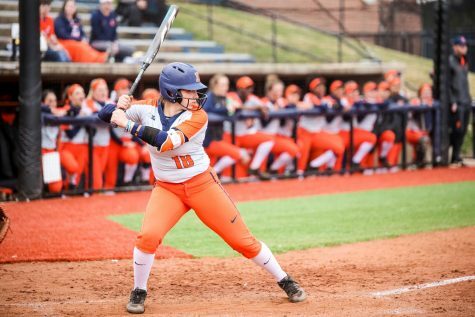 Before the weekend series, the Illini will have a home game against Butler on Wednesday. 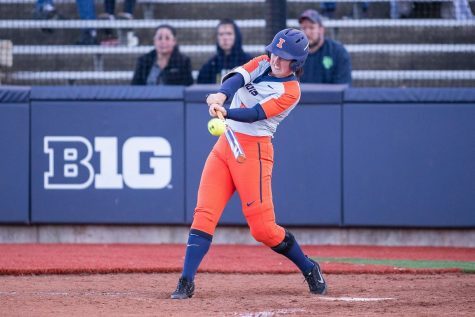 Illinois is coming off its third sweep of the season when it defeated Michigan State in East Lansing, Michigan over the weekend. 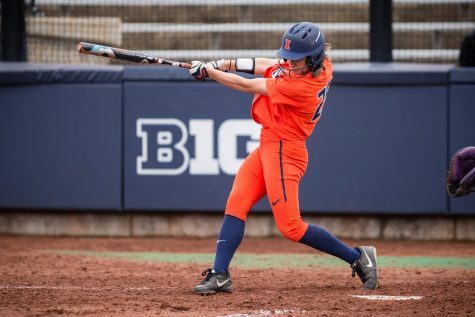 Junior Leigh Farina was named Big Ten Player of the Week for her performance in the series. 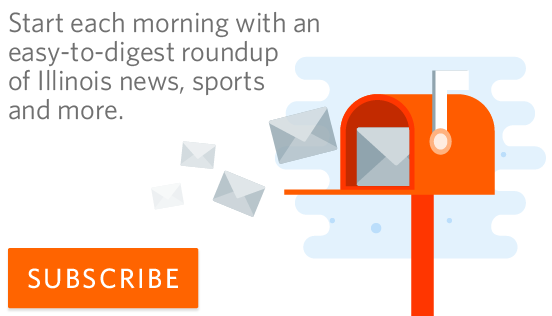 She collected seven hits and four RBIs in 11 at-bats. 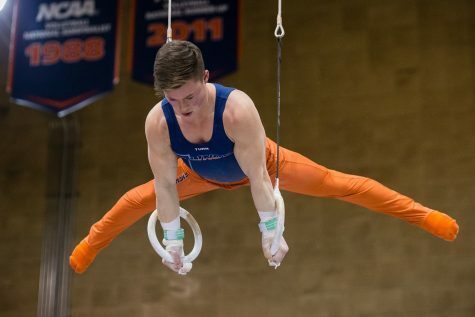 After those games, the Illini found themselves ranked No. 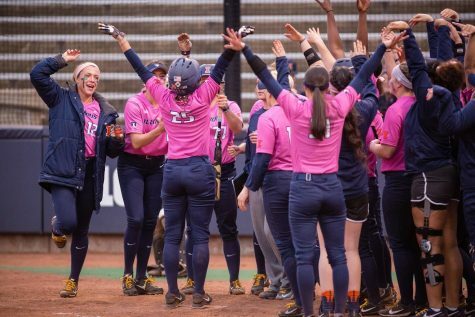 25 in the NFCA top-25, their first time in the rankings since 2011. 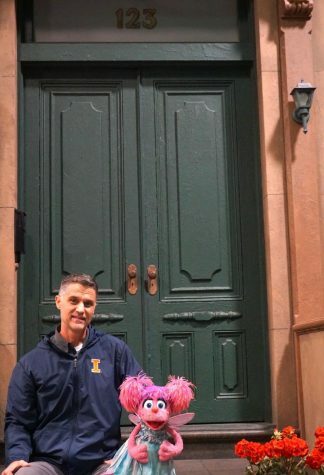 A lot of the team’s success can be attributed to its 6-0 record in Big Ten road games. 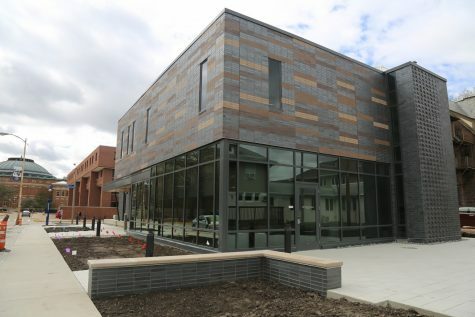 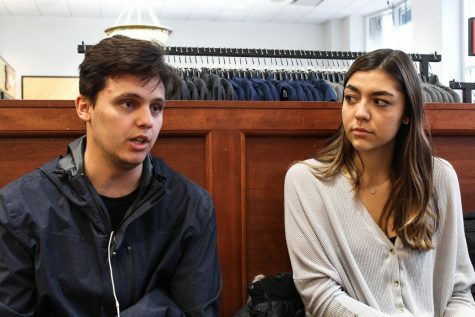 Perry also attributed her team’s success to the leadership of the upperclassmen, and she said she does not feel a burden being the main source of leadership on her team. 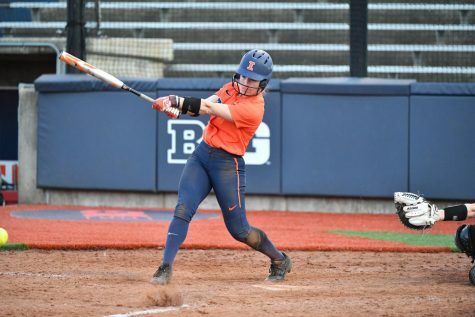 Senior Nicole Evans is only three home runs away from being the all-time leader in Illinois softball history. 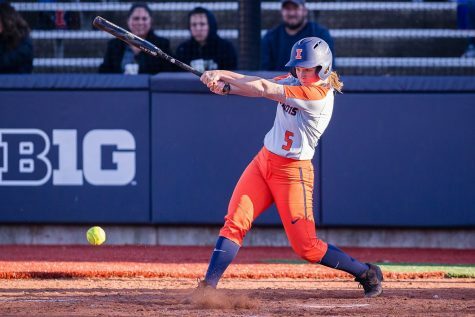 She became the all-time leader in RBIs two weekends ago when Illinois swept Purdue. 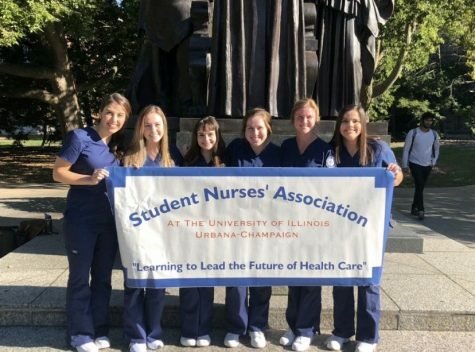 The Illini have been having success on the mound with their pitchers this year as well. 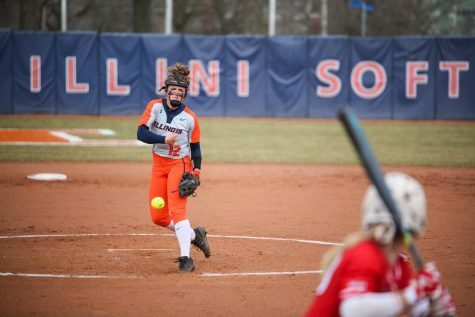 They have two pitchers with double-digit wins this season: sophomore Taylor Edwards with 13 and senior Breanna Wonderly with 15. 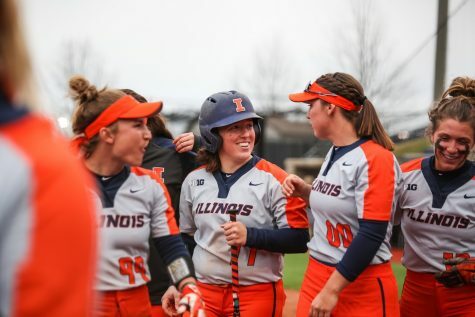 Heading into Wednesday’s game against Butler, the Illini’s record stands at 31-10 overall and 10-2 in the Big Ten.